Easter Greetings to all my visitors and friends. 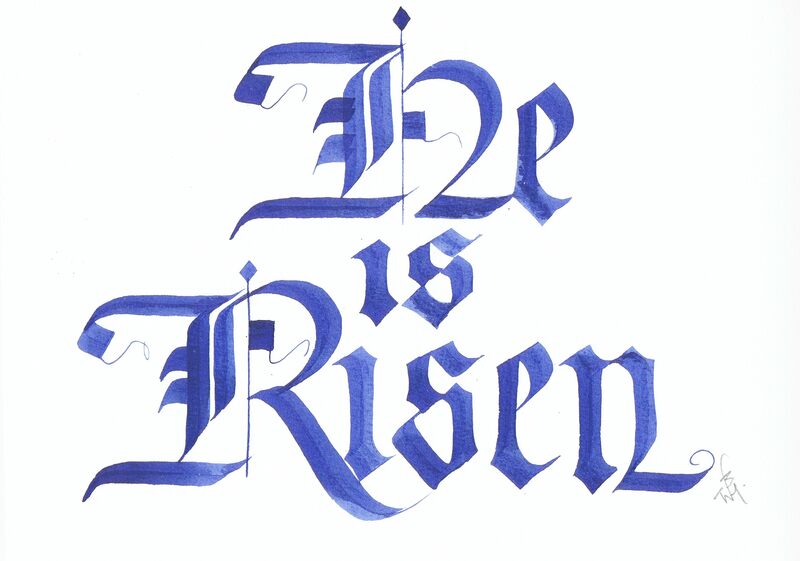 This entry was posted in calligraphy, Easter and tagged 2012, Black-letter, Easter day, Easter Sunday, He is risen. Bookmark the permalink. Greetings to you and yours from the UK.